Paco, Paz, and Pepe are all currently well into their annual molt, which started to really kick into full swing a little over a month ago. This is our first full molt with them. When we brought them home last year, their molts had already begun, so this has been a really interesting experience for us to share. Because we have not just one, but Three-Cans, the feathers are literally flying around here. I am not able to collect them all, as many fly by the wayside or end up stuck in a pile of papaya poop, but I am able to gather up enough that I can almost build my own toucan at this point! To me, the new pin feathers look painful as they emerge from the skin. and preening. Paco has been extra-snuggly, preferring me to do the majority of his preening for him. My favorite feathers are these tiny ones. If you didn’t know any better, you’d think they came from a much smaller bird. but black on the tips, which is what creates the shockingly perfect line of their bib. The most interesting feathers by far are the red under tail feathers. You would assume by looking at them on the Cans that the feathers that would drop would be all red. But instead, they are very soft, delicate, and wispy and actually transition in color beginning at their base from black, to white, to red. Nature never ceases to amaze me. The attention to detail that went into creating these stunning birds is nothing short of incredible. Time and time again, my life with the Three-Cans reminds me that it’s by noticing the little things that you experience a true sense of appreciation for the big things. 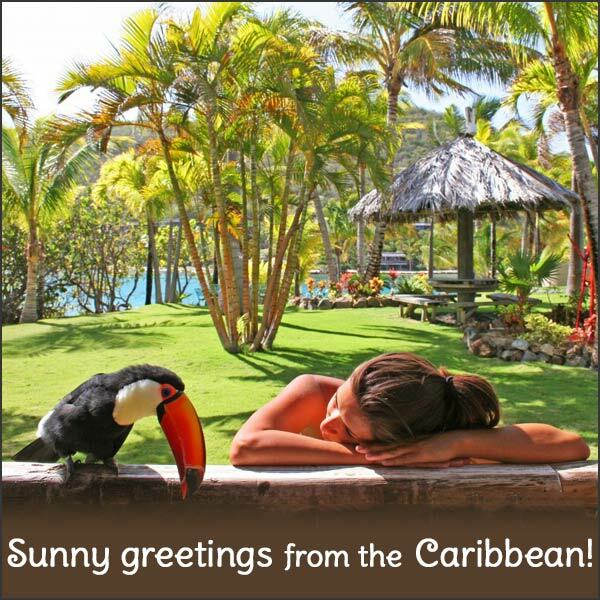 This entry was posted in Care, General Info and tagged Adventures in Toucanland, bird, birds, BVI, Caribbean birds, exotic birds, exotic pets, feathers, island, molt, molting, moult, moulting, Paco, Paz, Pepe, pet, pet bird, pet birds, pets, Saba Rock, Toco, Toco Toucan, Tocos, Toucan, toucan feathers, toucan molting, toucanland, toucans, tropical birds, tucan, tucans by Toucan Lady. Bookmark the permalink. Hi, I do not have any additional feathers to sell to you.